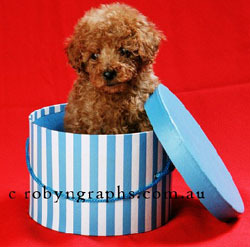 Poodle breeders links and breed information on pups4sale.com.au. Don’t let the fluffy fur and the pom-poms fool you. The Poodle breed may look as though they more appropriately belong sat atop a velvet pillow eating carob-covered liver treats, rather than lunging into murky, cold, treacherous waters for their beloved owners…but that couldn’t be further from the truth (though I’m sure they do enjoy the velvet pillow scenario as well). Not only is the Poodle one of the smartest dog breeds, most determined working breeds, and most skilled sporting breeds, but it is also one of the winningest show breeds ever to have graced the hallowed halls of Crufts. 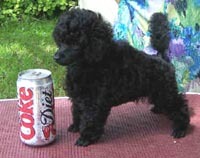 Poodles were eventually bred into three widely recognized sizes: standard, miniature, and toy. It is generally accepted that the standard size was the first of the three, but not much time elapsed between that and the development of the smaller sizes. Indeed, there is artwork and etchings of nobility doting on the toy size Poodle during the age of Louis XVI (1774-1791). The standard variety was utilized early on as a retriever. They made excellent gun dogs for hunters, once trained, they were steady to shoot. Since their fluffy coats are water resistant, they are naturally more buoyant…thus, excellent swimmers and water dogs for retrieving foul. Though the miniature and toy varieties were not necessarily regarded as either hunting or avid water dogs, they oddly enough, had a remarkable talent for sniffing out truffles. 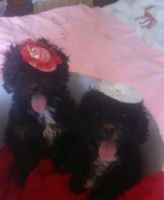 Thanks to Sunshine Star Poodles and Robyngraphsfor the pictures of Miniature & Toy Poodle puppies & adults used on this page, and the additional information provided. 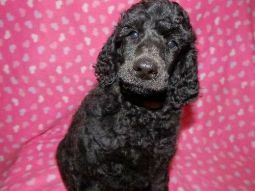 Standard Poodle – For males, average height: 15-21 in., average weight: 45-65 lb. For females, average height: 15-21 in., average weight: 45-65 lb. 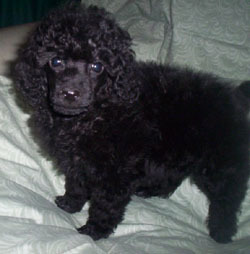 Miniature Poodle – For males, average height: 10-15in., average weight: 12-18 lb. For females, average height: 10-15 in., average weight: 12-18 lb. 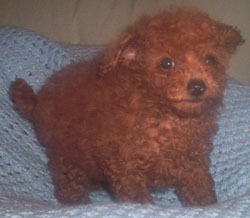 Toy Poodle – For males, average height: <10 in., average weight: 4-8 lb. For females, average height: <10 in., average weight: 4-8 lb. 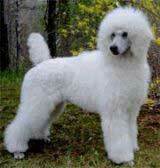 In terms of proportions and general appearance, the Poodle (regardless of type) is squarely and attractively built. The sturdiness and balance of the body can literally be found in the measurement from the breastbone to the point of the rump, which roughly equals the height from the highest point of the shoulders to the ground. 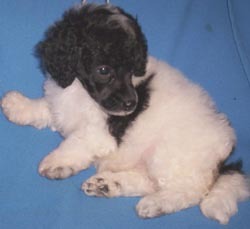 The Poodle’s expression is alert, with oval shaped eyes, and ears folding over close to the head, the rounded tips ending slightly below eye level. 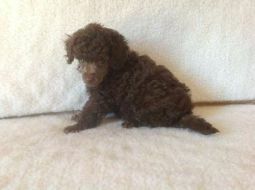 Your local Poodle breeder should be able to provide you with further specifics. 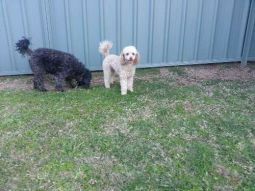 Energy – There can be a slight difference in energy levels seen between the three types of Poodles. While most dogs benefit from a daily walk of some sort, the standard Poodle is not overly demanding when it comes to exercise requirements. As their history will show you, they can definitely keep up with their owner when the need arises (hunting, swimming, jumping into lakes, etc. ), and they do love to walk and run, but a moderate walk is really all they need to stay happy and healthy. Of course, they also love water, so if you’re lucky enough to have a pool or body of water nearby, I’m sure your standard Poodle would cheerfully jump in! As long as enough exercise is provided, your standard Poodle should make a content and wonderful indoor companion (even in an apartment). 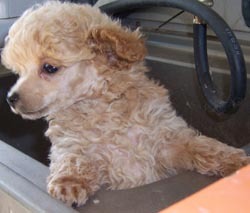 Both the miniature and toy Poodle varieties require a little more exercise (or play) than the standard. Some of that speaks to the natural stamina of the breed, but more importantly, the added interaction and exercise will help curb the development of Small Dog Syndrome (where your pint-sized pooch takes on behavioral problems, such as thinking they are in charge of “the pack” …or, more specifically, you. It can also manifest in increased barking, nipping, and separation anxiety). 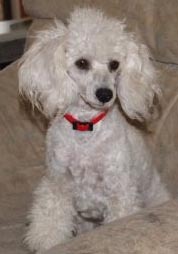 Temperament – All varieties of the Poodle are intelligent, good-natured, and eager to please (a trait that also makes them readily trainable). These dogs are generally great with families and other dogs, approachable by strangers, but also keen to perform as a watchdog. Doting companions, Poodles are usually very ready to goof off, clown around…whatever it takes to make you laugh. 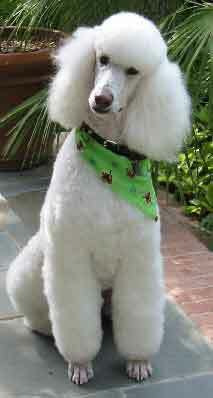 The Poodle can also be sensitive to tone, so temper your leadership with a firm but gentle demeanor. 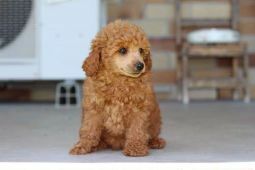 While the smaller varieties can be prone to Small Dog Syndrome, and the standard size can develop anxiety issues if not exercised and socialized enough, the Poodle makes a well-rounded, loyal, happy dog to add to anyone’s life. Health – Happily, the Poodle can live 12- 15 years, and beyond, if well cared for. That being said, there are still several genetic conditions that need to be avoided. Topping the list of ailments is eye problems: cataracts, runny eyes, and progressive retinal atrophy (often causes blindness). Poodles are also susceptible to skin conditions and skin allergies, as well as ear infections (especially if in swimming in water frequently without proper cleaning/drying of the ear canal). More serious conditions suffered by Poodles include hip dysplasia, thyroid issues, and bloat. 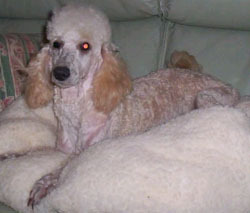 Addison’s disease is one of the top illnesses reported in Poodles, as of 2007. It is an endocrine disorder that causes the adrenal glands to not produce sufficient steroid hormones. The symptoms are often so subtle (and, as you know, your Poodle can’t tell you what it’s feeling), that Addison’s often goes undiagnosed (eventually causing coma and/or death). Your dog may experience abdominal pain, lethargy, and frequent stomach problems. If caught, however, Addison's can be treated with medication (for the life of the dog), and your pooch should be able to live a fairly normal life. Contact your local Veterinarian or Poodle breeder for more specifics and helpful advice. Grooming – Here’s where the Poodle easily becomes the most highly specialized and individualized doggie around! There are no less than 6 distinct “clips,” and any number of variations stemming from those: Continental, English Saddle, Puppy, Sporting, Scandinavian, and the good ol’ “pet clip.” The first five are acceptable for most show ring conditions, and as bizarre as some of them look, they were all borne of absolute hunting/water dog practicality. The “pet clip” is what most owners with non-show dogs opt for. 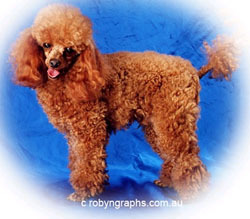 While pet clips can be as unique as both the owner and the groomer wishes, there are certain musts for Poodles: keep the hair away from the eyes, and keep the feet and face clipped short (prevents matting). 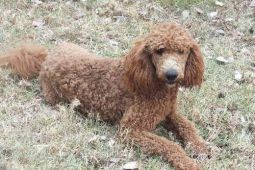 It is not unusual for most Poodle owners to keep the entire body of the dog clipped very short in summer for easy upkeep. A wash every other week, a nail trim every week, a going-over with a wire slicker brush every other day, and that should do it. But, realistically, your Poodle can be as low (or high) maintenance as you desire! Negatives – Well, if you plan to show your Poodle, obviously, your biggest time and money investment is going to be focused on grooming. Standard Poodles may not require high amounts of exercise, but they do benefit from a healthy walk each day. 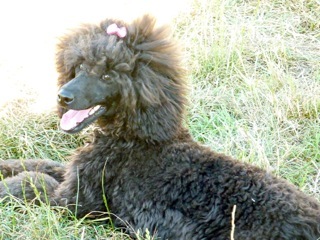 There can be some behavioral problems with the smaller varieties if not trained and exercised, and owners need to keep an eye out for genetic conditions seen in all Poodle types. Positives – Amazingly, though they look to be a tremendous amount of work, Poodles are generally very cheerful, healthy, intelligent, eager, loving companions. They are easily trained, and live to make you happy. Equally content sitting on the couch with you, or diving into a lake to fetch a ball, the Poodle is up for anything, and certainly adaptable. If you take care of your Poodle, they will take care of you and provide a lifetime of love!